Cathleen Harris (Margaret Qualley) was being raised in rural Tennessee in the Fifties when she started exhibiting an interest in God at an early age. That fixation was a little disconcerting to her single mom (Julianne Nicholson), an avowed atheist. With Cathleen's absentee father (Chris Zylka) rarely around, she only had the Catholic school her daughter attended to blame for cultivating the obsessive interest in religion. By the time she was a teenager, her faith had grown so strong that she wanted to become a nun. And, over her mother's objections, she followed the calling and entered the convent at 15. She donned a habit, placed the honorific "Sister" in front of Cathleen and dropped her surname entirely. But it would still take years of training before she would be allowed to take her final vows. First, she had to prove herself worthy during her postulance, the tough probationary period testing a novice's commitment to silence, poverty, obedience and chastity. At least Cathleen wasn't alone at the convent. She befriended a number of equally-pious females there who were also contemplating ascetic lives as wives of Christ. 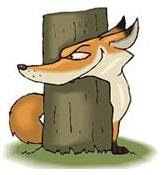 However, the whole lot of them were always at the beck and call of Reverend Mother (Melissa Leo), a sadistic taskmaster who delighted in torturing them, as if that were the best way of weeding out the uncertain. That is the point of departure of Novitiate, an introspective coming-of-age drama written and directed by Margaret Betts (The Carrier). The compelling character portrait borders on the claustrophobic in its effort to plumb the depths of Cathleen's tortured soul as she debates whether or not she's meant to enter the order. The picture's plot thickens in the mid-Sixties after Pope John XXIII issues a series of 16 historic proclamations Besides calling for Sunday mass to henceforth be said in native languages instead of Latin, he lowered the standing of sisters to that of any lay believer. Stripped of their status, 90,000 nuns soon renounced their vows and returned to private life. But what effect would this have on someone just embarking on her career, like Cathleen? 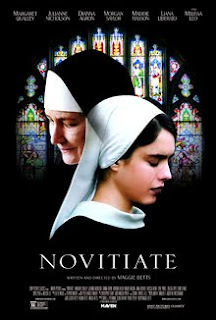 Reminiscent in different ways of Doubt (2008), The Exorcist (1973), The Passion of the Christ (2004) and Paradise: Faith (2012), Novitiate is nevertheless a novel adventure offering a plausible look at the internal angst of a female weighing whether or not she's meant to be a nun. Sisterhood as a divinely inspired, yet very intimate and solitary path!